A great way to relax with girlfriends is a spa vacation. And if you’re in New York City, you can visit day spas worthy of their own journey. 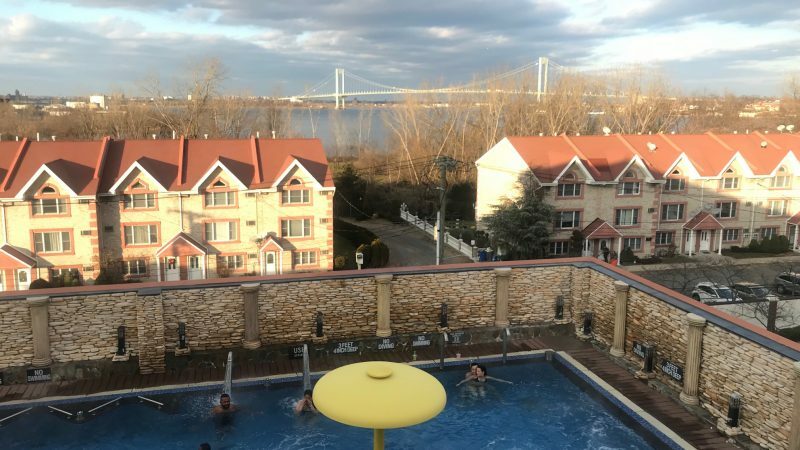 Our TravelingMom with Pets has done the difficult work of “de-stressing” around town, and she shares the ins and outs of NYC spas. So you’ll know the best day spas to hit with your besties! If you are looking for a relaxing girlfriend getaway, New York City is not the obvious choice. But we New Yorkers have to reduce our stress somehow. 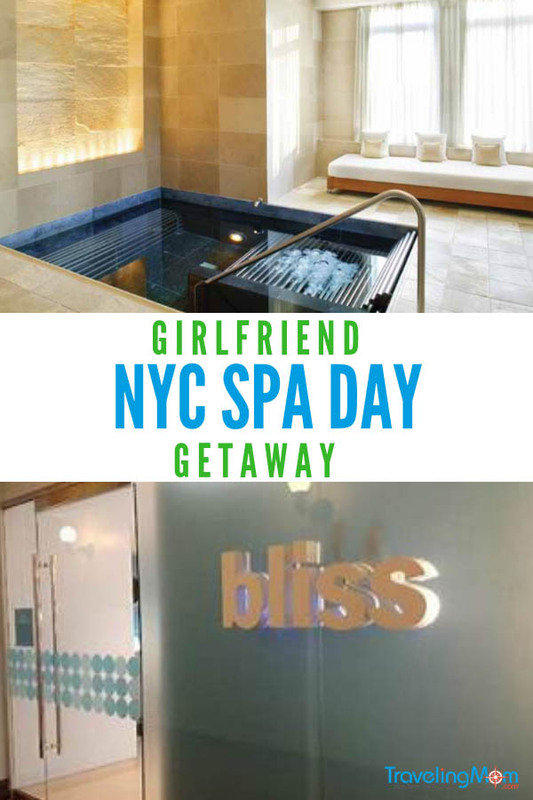 There are day spas throughout the city that let New Yorkers – and tourists – relax, even if just for a few hours. Bliss – This luxury chain has locations from Hong Kong to Hoboken, and I’ve been to the branches in Fort Lauderdale, Chicago and San Francisco. But I remain loyal to Bliss57, in midtown. You definitely want to come early to your appointment, or stay late; the locker rooms have steam showers that you can use, even if you are just getting a pedicure. And if you go here alone, you can watch a movie with headphones and not even talk to anyone. But go with a friend. You get a fluffy robe and flip flops when you arrive, and you can help yourself to free snacks. You can almost make a meal from the cheese, crackers, olives and brownies. The relaxation rooms (one for men, one for women) have comfy lounge chairs and current magazines. I’m also partial to the Soho Bliss, the first Bliss spa. If you need retail therapy after a massage, head here, then shop in Soho. 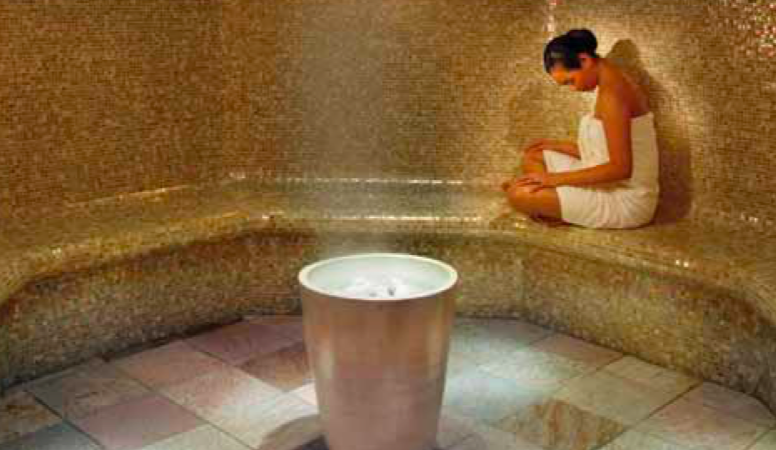 The Spa at Chelsea Piers– Chelsea Piers is so far west that you may feel like you’re leaving the city. The complex has skating rinks, a bowling alley, a huge rock climbing wall, driving range, and the production studios for Law & Order. The massage facilities are under renovation. There are prenatal massages in case you babymoon in New York City. The luxury locker rooms include a heated floor in winter, robes, and steam room and sauna. Catch some rays at one of the two sun decks. They overlook the Hudson River. The Spa at Mandarin Oriental– The Mandarin Oriental offers the height of indulgence. Anyone booking a treatment can also use the super-oxygenated Vitality Pool. There is also an Amethyst Crystal Steam Room and color therapy shower. Spa guests can hang out as long as they want in a plush robe in the relaxation lounge. There is complimentary tea, citrus infused water, fresh fruit and dried fruit and nuts. After your refresh, try one of the hotels luxe bars, The Aviary NYC or The Office NYC. 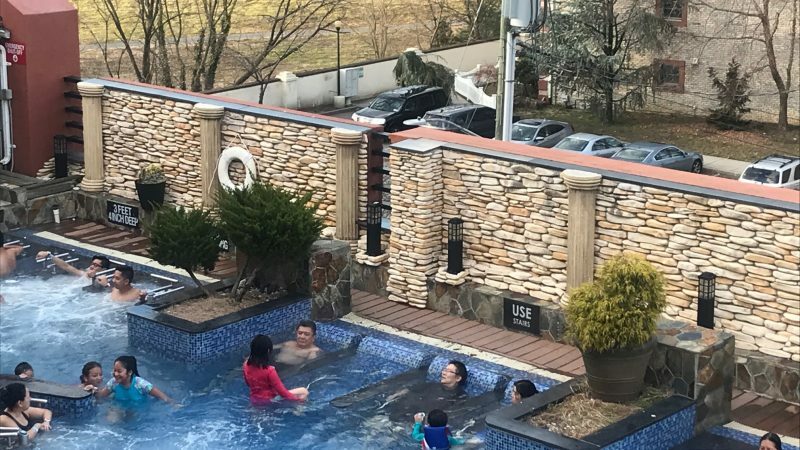 This Korean day spa attracts a broad mix of New Yorkers, tourists, and even families. 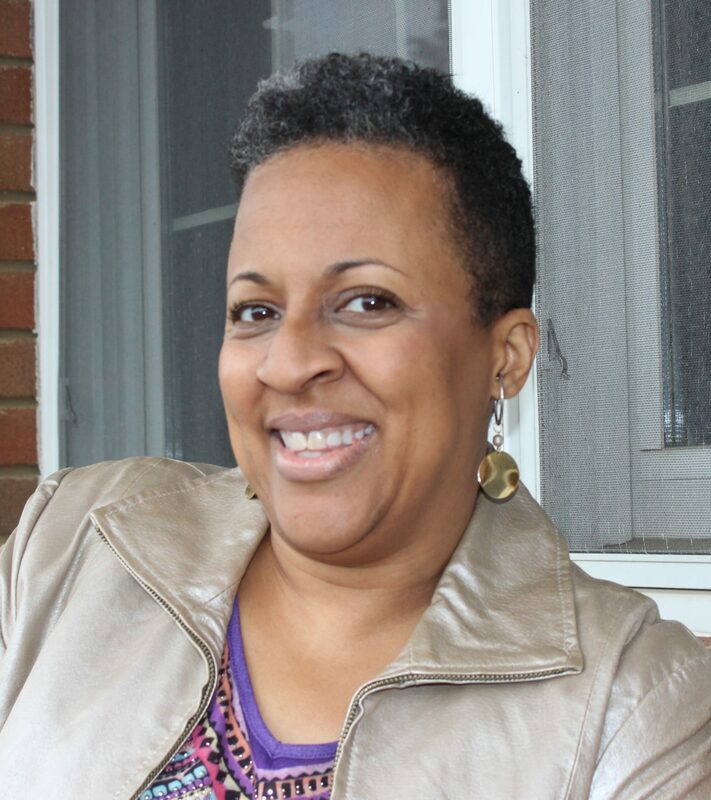 There were several bridal shower groups when I visited with a few of my besties. You have to bring a bathing suit. Towels, shirt and shorts are provided. You don’t wear shoes or flip flops anywhere. But no worries – it’s impeccably clean. I was a little skeeved out walking barefoot to the toilet. But one week later – none of us got a fungus or foot infection. So I remain a fan. A wristband locks and opens your locker. You also charge food and drinks with the wristband. Men and women have separate ‘naked’ pools; the rest of the place is coed. The eight saunas include a salt room, one with different colored therapeutic lights, and a cold sauna. Up another flight, there are indoor and outdoor hot tubs. These are open year round. We loved the massaging water jets in the outdoor hot tubs. You can sit in a quiet adult-only relaxation room. There are several places to buy Korean food, ice cream and other snacks. You can also get a massage, body scrub or facial for an extra charge. 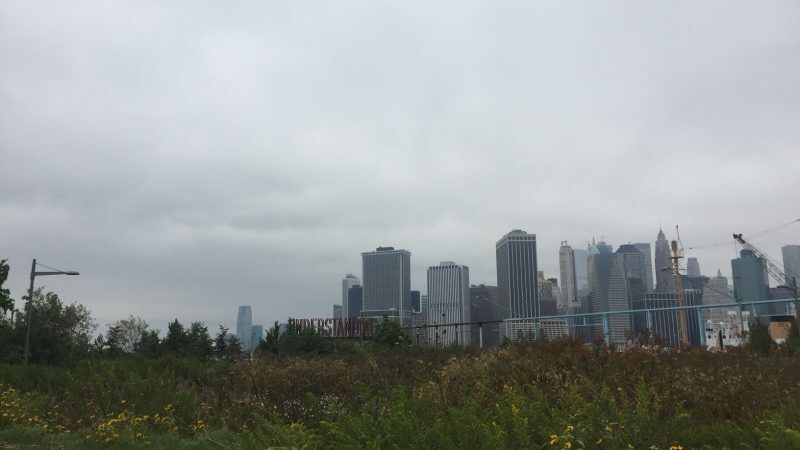 Although Brooklyn has come far from its “down at the heels” state (Maggie Gyllenhall and Emily Blunt are two of my neighbors), the Gowanus area still has a stigma. But sparkling luxury condos and Michelin starred restaurants exist next to waste treatment plants. And this oasis. cityWell has indoor rain showers, sauna and steam room and an outdoor lounge area with showers and hot tub. My girl friend rented the whole place for a significant birthday. 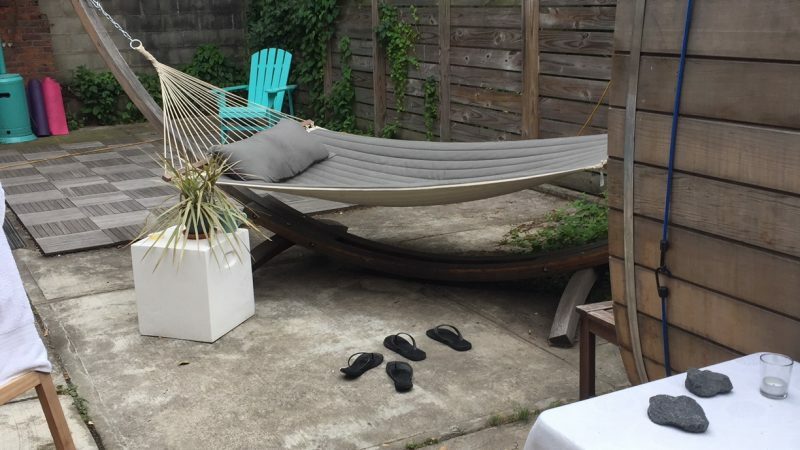 Book a massage or relax in a hammock. Definitely the place to de-stress. There are all gender and women only times. Even if you stay in a dog friendly hotel, you might want your dog to get some play time with other dogs. If you are busy at a spa all day, your pup can have play time at The New York Dog Spa and Hotel. And if you choose to stay at a non-pet friendly hotel, you can board your dog there. Of course, you can also get your dog bathed and groomed here. If you have a daughter, a spa is a great way to celebrate middle school graduation, getting into college, returning from junior year abroad, and the like. When my middle daughter went to prom, I invited five of her friends to get mani/pedis before their hair appointments. Since teens can’t text when their nails are wet, you can actually talk face to face. And this is a great introduction to the wonders of girlfriend getaways! You can also plan an out-of-town girlfriend get-away, but for my money, give me New York City. Hope you take a relaxing trip!